A pint of donated blood is all it takes to make a difference and save a life. But for Canadian Blood Services, the donation of time is also important. One Nova Scotia man has been giving both to the organization for three decades and his contributions were recognized on his 85th birthday. Not only is it a milestone birthday for Dave Thomson, but Friday also marked an impressive milestone as a volunteer. “Thirty years, on my birthday start and finish,” Thomson said. 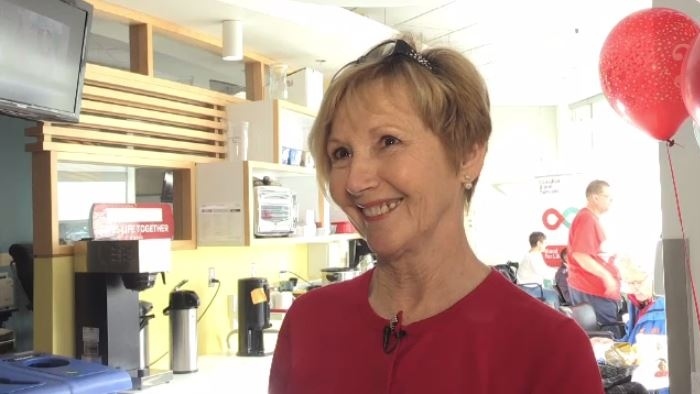 It’s a fitting finish for this volunteer, and past frequent blood donor. “When I first gave blood is? 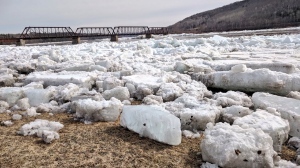 I wouldn't have any idea when I started,” Thomson said. But he knows how many times he donated - until he reached the maximum donor eligibility age of 72 -- although that age limit doesn't exist anymore. “I gave a total of 279 (times) altogether,” Thomson said. He's also been volunteering at the donor clinic at least once a week. He decided to volunteer after his experience here as a regular donor and that's on top of spending time helping other organizations as well, like the CNIB. “He would teach me the ropes,” said fellow volunteer Chris Sprague. Other volunteers know him well and will miss him when he's not around here anymore. “(He) always wanted to make the donors feel comfortable and relaxed, and if they were first-time donors, why they decided to donate, and took an interest in the donors,” Sprague said. The donors appreciate him -- and vice versa. “If they donate plasma you see them every week, if they're donating whole blood, then you seem them every three months, so it's like a family,” Thomson said. Canadian Blood Services says all of Thomson’s donations would have helped at least 500 people who needed whole blood or plasma. And his volunteerism? Also priceless. “He's a wonderful advocate for what we do and hopefully his story and his message would inspire others to join the blood system,” said Peter MacDonald, who is in charge of donor relations with Canadian Blood Services in Halifax. Sprague says Thomson is a great role model. “People need to understand the role of volunteers and how important that they are to help keep things going, so, Dave has certainly given it his all,” Sprague said. For Thomson, the gratitude goes both ways. A day he hopes will inspire others to give back in the very same way. With files from CTV Atlantic’s Heidi Petracek. 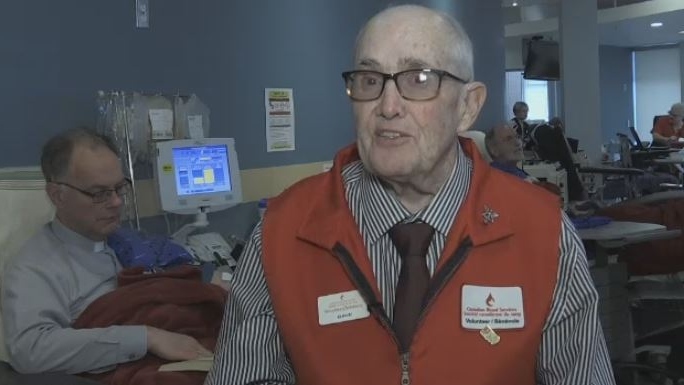 Dave Thomson is being honoured after decades of donating blood and volunteering with the Canadian Blood Services.